American playwright Edward Franklin Albee, III, achieved great success in the early 1960s with his early one-act plays and the immensely popular full-length work Who's Afraid of Virginia Woolf? Edward Albee was born on March 12, 1928, and as an infant was adopted by Reed A. and Frances Albee. His adoptive father was a part owner of the Keith-Albee theater circuit, which controlled many playhouses across the country presenting vaudeville acts, plays, and movies. Albee attended private schools and spent the year 1946-1947 as an undergraduate at Trinity College in Hartford, Connecticut. Leaving college, he went to New York City, where he worked as a continuity writer for radio station WNYC, an office boy in an advertising agency, a record salesman for a music publisher, a counterman in a luncheonette, and a Western Union messenger. While working at these jobs, he had modest success as a poet. In 1958 he began to write for the theater, and his first two one-act plays, The Zoo Story and The Death of Bessie Smith, debuted in Berlin in German translations in 1959 and the following year were taken to New York. He also wrote The Sandbox in 1959 for the Festival of Two Worlds in Spoleto, Italy, where it was not performed, but it was produced in New York the following year. The American Dream, seen by some as an expanded version of The Sandbox, was presented in Manhattan in 1961. The brief one-act Fam and Yam premiered in Westport, Connecticut, in 1960. Critics called some of these plays "brilliant" and "excellent" and found them "packed with untamed imagination." A few hailed Albee as the first American playwright of the absurd and hence a seminal figure. The most exciting development in European drama in the post-World War II period was the advent of the so-called Theater of the Absurd, which had it philosophical roots in the existentialist school led by Jean-Paul Sartre and Albert Camus. As old as Aristotle, this school's undergirding was the view that existence precedes essence, or, in overly-simplified terms, that the concrete precedes the abstract. But the French existentialists added these refinements: reason alone is not adequate to explain human existence; anguish is common to all those who try to confront life's problems; and morality demands participation. As filtered through the Theater of the Absurd, these ideas were altered or expanded to include the notions that the human condition is senseless and devoid of purpose or ideals and that, as psychoanalyst Philip Weiss puts it, "conventional logical communication" must be de-emphasized or regarded as well-nigh impossible. In Europe, Eugene lonesco was considered the most consistent practitioner of Absurdist drama. In the words of Jacques Guicharnaud and June Beckelman, lonesco's plays can be summarized as "a return to nihilism," offering "the message … that there is no message." In the words of Tom Driver in History of the Modern Theater, "it was necessary, to have a popular playwright of the absurd [in America]. It was in this context that Edward Albee became a culture hero … after … The Zoo Story," because, as John MacNicholas puts it, this play was "an exploration of the farce and agony of human isolation," a common Absurdist theme. After co-authoring the libretto of the opera Bartleby with James Hinton, Jr., in 1961, Albee had his greatest hit with Who's Afraid of Virginia Woolf? in 1962. Robert Corrigan in The Theater in Search of a Fix observed, "Great drama has always shown man at the limits of possibility. … In Virginia Woolf Albee has stretched them some, and in doing so he has given not only the American theatre but the theatre of the whole world, a sense of new possibility." John Gassner in Dramatic Soundings called it "pulsating moment-by-moment drama … [which] reaches the same order of harrowing dramatic power as Elizabethan melodrama." Even those whose general reception of the play was cool found something to praise, like Richard Gilman, who commented that "the rhetoric … is straight-forward, cocky, brutal, knowing … tremendously au courant … and very funny." The play won the 1963 Antoinette Perry Award (Tony) as the best new drama of the season. In the next five years Albee divided his talents between adapting the works of others and continuing to compose original plays. In selecting works to adapt, Albee showed an unfortunate predilection for the second-rate: in 1963 he dramatized Carson McCuller's novella The Ballad of the Sad CafÃ©; in 1966 he produced Malcolm, based on a James Purdy novel of no distinction; and in 1967 he rewrote the play Everything in the Garden by the then-deceased Giles Cooper. In 1964 Albee's Tiny Alice was staged and, like most of those which followed, was greeted by either raves or boos. Thomas Adler thought it reminiscent of Pirandello in showing "the universal human need to concretize the abstract, to discover or … to create a manageable representation of the unknown." Richard Gillman considered it "far and away the most significant play on Broadway this year." At the other end of the spectrum, novelist Philip Roth blasted Tiny Alice for "its tediousness, its pretentiousness, its galling sophistication, its gratuitous and easy symbolizing, its ghastly pansy rhetoric and repartee." In 1966 came A Delicate Balance, which won its author his first Pulitzer Prize, although such influential critics as Robert Bruste in and John Simon dismissed it, the former declaring that "its empty chatter is passed off as profound observation with the aid of irrelevant portentous subordinate clauses. …"
In 1968 came a double-bill of short plays, Box and Quotations from Chairman Mao Tse-Tung, which, the playwright explained, "both … deal with the unconscious primarily" and which represented his closest approach to Absurdist theater. All Over, a play about death, came to New York in 1971 and encountered the range of critical reactions that was becoming standard. Albee won his second Pulitzer Prize with Seascape in 1975, which Harold Clurman (long an Albee supporter) in the Nation found "rather charming" and Brendan Gill in the New Yorker judged to be "wryly written and sometimes touching," its plot "a charming toy." But the naysayers were out in force again, with Jack Kroll in Newsweek summing it up as "the ultimate in pure nagging." The year 1977 brought Counting the Ways: A Vaudeville, first presented in London, and Listening: A Chamber Play, which debuted in Hartford. Martin Esslin in Plays and Players found the former "full of beauties," and Thomas Adler in the Educational Theatre Journal thought it had "considerable charm and wit." The Lady from Dubuque in 1980 fared rather badly with the critics. Brustein wrote, "It really is quite an awful piece," and Simon added that it featured "the ultimate in witless nastiness, gratuitous offensiveness and, above all, … verbal infelicity." Albee did little better with his adaptation of Nabokov's novel Lolitain 1981, although more than one critic raised the question of whether the novel itself was not dated. The Man Who Had Three Arms in 1982 drew from Dan Sullivan in the Los Angeles Times the grudging admission that "[t]here is some juice in this one, even if it is mostly bile," but Frank Rich in the New York Times blasted it because "it isn't a play—it's a temper tantrum in two acts." Finding the Sun (1983) provoked the comment from Linda Ben-Zvi in Theater Journal, "There is much that is strong and theatrical about the piece … it plays well." The Marriage Play (1987) drew from Dana Rufolo-HÃ¶rhagen in Plays and Players the encomium that it "is a resonant, poetical, and cleanly hewn-work." In 1994 Three Tall Women debuted in Manhattan. Essentially a monologue in the first act, it had an ingeniously-wrought second act in which the monologue was continued by three actresses, representing the protagonist at different stages in her life. This play won the Pulitzer Prize in 1994. Besides writing for the theater, Albee directed some of his own plays and those of others at various off-Broadway houses and in Los Angeles and won an award from the Village Voice for directing Len Jenkins' Five of Us. Further, he joined with Richard Barr and Clinton Wilder to form the New Playwrights Unit Workshop, which assisted aspirant writers for the theater. Albee also served as chairman of the Theater Department of Fordham University in New York. Albee wrote four screenplays, including an adaptation of The Death of Bessie Smith; composed an introduction to Three Plays by Noel Coward; contributed to the National Playwrights Directory; and authored a biography of Louise Nevelson. 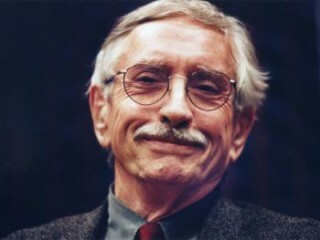 View the full website biography of Edward Albee.